Contact Anita & Andrew at Higher Menadew Farm Cottages on 01726 850 310 or complete the enquiry form. This collection of stylish 4 star and 5 star rated Cornwall holiday cottages are set amongst tranquil countryside and are well located for discovering some of Cornwall’s best attractions and activities. With stylish, high quality interiors, the St Austell cottages at Higher Menadew Farm are superbly equipped and exceedingly comfortable and welcoming. 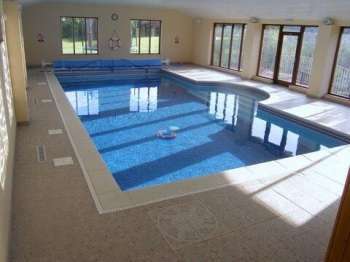 What’s more with excellent leisure facilities on site, this is a wonderful place for a relaxing holiday in the West Country where you can relax and unwind. Couples and families choose to return time and again. One of Cornwall’s top attractions, the Eden Project is virtually on your doorstep. Also close by are beautiful beaches, magnificent coastal scenery and pretty fishing villages such as Fowey, Mevagissey and Looe. Also within easy reach are many glorious gardens and country houses such as the Lost Gardens of Heligan and the National Trust’s superb Lanhydrock Estate and Pencarrow. Other activities to enjoy close by include walking the coastal path, cycling along the Camel Trail, playing golf, fishing or trying your hand at water sports. Other ideas include visiting Bodmin Moor and spending days out investigating Cornwall's ancient Celtic heritage. Feel free to ask us for friendly advice and information on local attractions, there is so much to see and do here. In terms of leisure facilities, guests enjoy use of our superb indoor heated swimming pool during their stay. There is also a games room with table tennis, table football and air hockey as well as outdoor play areas for children. A stay here is a complete treat whatever the time of year. Simply unwind with a glass of chilled wine, a good book and enjoy unhurried time with friends and family. Free Wi-Fi broadband internet access is available. See our website for more information on our lovely cottages and facilities and to fully appreciate what these Cornish cottages have to offer. "The Dairy" has a two tumble dryers; equipment for the beach; DVDs and a book library. Games Room: Table tennis; table football; air hockey; giant 4 to 1; dedicated areas for 5's and under. Outdoor play equipment includes a large trampoloine; plat tower with slide; swings and climbing wall and net. Cornish countryside, 15 minutes to south coast, 25 minutes to north coast. Annual Events: The Gardens of Cornwall are simply glorious especially in the Spring. Fowey Festival of Music and Sound takes place in nearby Fowey in May. The Eden Project always has events taking place including Bulb Mania in the Spring, concerts in the summer and Time of Gifts celebration around New Year. Recommended Places to Eat Out: There is a fine range of quality restaurants, public houses and other eateries. Please visit the owner's website to find out more about the holiday cottage, amenities, surrounding area and places to visit in Cornwall. 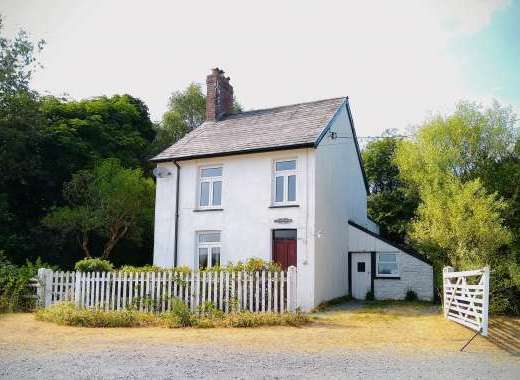 w/c 20th April: Cottage for 6 with pool NOW £820 saving 20%. w/c 20th April: Cottage for 2 and Pool Now £335 saving 20%.